I am so excited today! 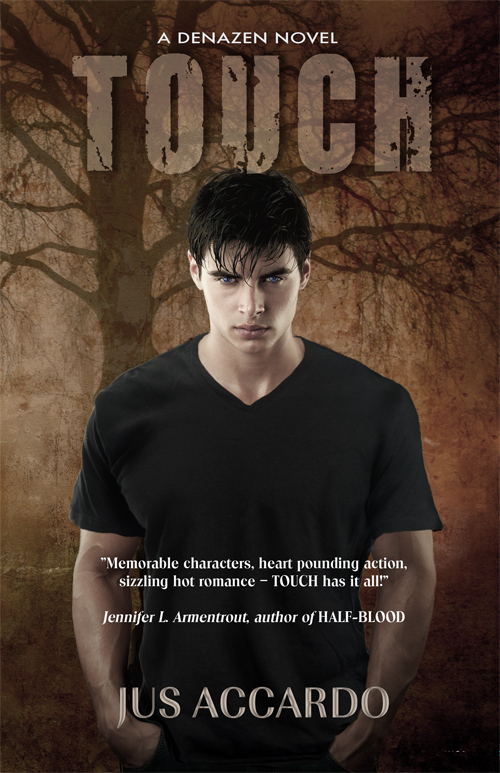 I get to share with all of you, the awesome final cover for Jus Accardo's forthcoming YA Paranmoral "TOUCH"! It's set to release on November 1st, 2011 and I for one can't wait to read it! 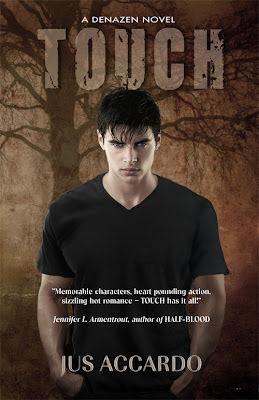 I don't know about all of you, but I am sucker for a book with a hot guy on the cover. Look at those eyes! I'm also digging the creepy tree in the background :0) Be sure to add this one to your wishlist, folks!